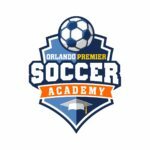 FAQ - ORLANDO PREMIER SOCCER ACADEMY (407) 906 0025 - O.P.S.A. What is the difference between other soccer clubs and O.P.S.A. ? We are the first personal soccer academy in Orlando. Our goal is to give the best training possible in order our players to succeed in their current teams , train them for the college and professional career. Why do we need to join to O.P.S.A. ? We all know that all the soccer clubs are trying their best to make the players better but they need to win the games so they will always start the games with better players, and better palyers will get more playing time than the others. If you want your kids to get more playing time , get better and get ready for the next level O.P.S.A. will be the best academy to join. Can I get less than 8 sessions? No, sorry but wait! We want the best for your kid so that is the reason is minumum 8 sessions. We need to get to know our players better and we can work on the weak sides better, stronger sides will be more powerfull, noticable. Can I get siblings discount? Yes, for sure ! you will have %20 off. You are welcome! My kids do not know how to play soccer, can they join also? Yes, Of course! Nobody did learn playing soccer over night! We will welcome them but min age is 7yrs. old. Are you going to have a team and participate in a league ? Maybe in the future! No, We are not planing to join to any league but we will have indoor teams with the high trained players that we have. It will be very good to watch them together!